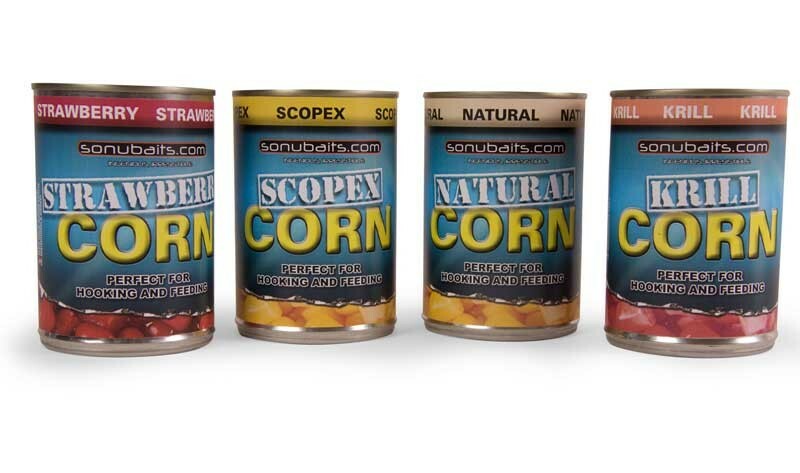 High grade sweetCorn, perfect for fishing and selected for its size, texture and taste, it is perfect for hooking and feeding and is suitable for all species of coarse fish including Carp, F1’s, Skimmers, Bream and Tench. Available in Natural, Scopex, Strawberry and Krill there is a colour and flavour to suit every fishing situation. Looking to buy some Sonubait as part of a fishing gift? If you would like some advice on purchasing Sonubait, simply contact our expert fishing team, giving us either an email or phone number on which to contact you and we'll get back to you right away with the best advice and prices. FREE Delivery on all Sonubaits Sonubait over £100!! !